Consider these facts before buying carpet. The carpet in your home impacts the interior beauty, décor, comfort, livability and upkeep. It’s a truth of housing: floor coverings can make or break a home. So learn all you can before buying carpet, you can start right here, right now. Because knowledge about carpet specifics and characteristics, about its traits and subtle differences, can be invaluable. Keep this in mind about seams. Most carpets are manufactured in 12 foot widths (there are a limited number of 15’ and 13’ products available as well). Unless the room to be carpeted is narrower than these widths, the carpet will need to be installed with seams. Some carpets show seams more than others. Much like other fabrics such as clothing, upholstery, wallpaper etc., there is no such thing as an invisible seam. With looped or low profile patterned carpet you may have visible or peaked seams. Please make sure to discuss the placement of seams with your salesperson. Tips on staircases and loop pile carpet. Be aware that, as carpet bends over stairs, its backing may show depending on texture, color and density. Plus, you should know that loop pile carpet can snag, particularly at a seam or at a carpet transition. 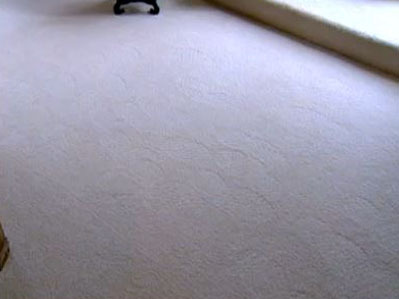 Loop pile carpets are not recommended for homes with pets, as their nails can “snag” the loop as well. But never fear, in the Carpet Maintenance section we provide information on how to properly care for loop pile carpet. Remember that carpet has a one-track mind. The nap of all carpets run in one direction. Carpets should always be installed in the same direction to maintain the most uniform appearance. Pile reversal, or shading, is a normal characteristic of many cut pile style carpets. This can be particularly apparent with plush carpet. If this becomes an issue, consider window treatments and furniture placement as a way to minimize this affect. 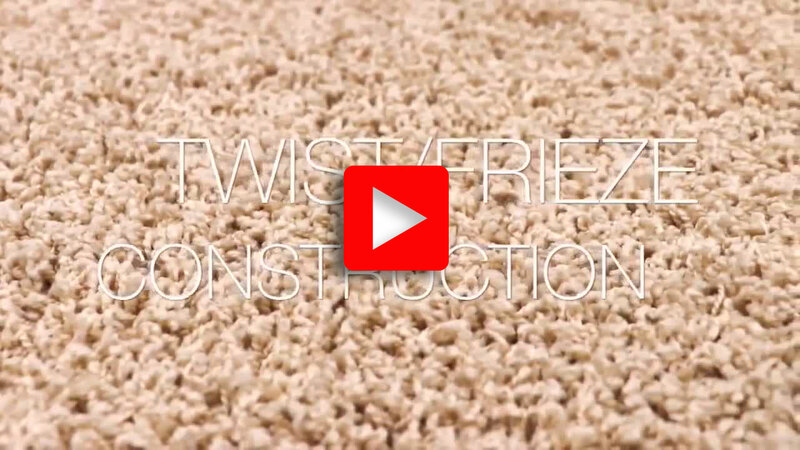 Higher quality carpet will typically have greater pile density, and tighter twist construction, which will result in higher levels of performance. It’s easier to replace or update a home’s décor with carpet compared to other hard surface products. Dollar for dollar carpet offers significant styling advantages, and adds value to any home. Carpet also feels warm underfoot and reduces household noise. Color is a wall-to-wall factor. Color has a big impact on any room in the home. Carpet covers a large area of any room, so it’s important to keep some basic rules in mind when selecting your carpet color. An important consideration about carpet color is that once a carpet is installed in a new home, it will often look lighter than the sample you saw in our showroom. This is a natural optical effect and you should be aware of this when making a carpet color selection. Neutral colors are the best choice if you expect to frequently change the decorating scheme, or if you’re trying to incorporate a lot of existing furniture. Using a neutral colored, quality carpet is also a good idea if you are planning on reselling your home any time soon. It’s easier for a prospective buyer to imagine their furniture in a room that is decorated with neutral colors. Read your warranty for the story on stains. Stain protection is an important consideration in any carpet purchase. Carpet products come with different stain protection levels and warranties that help guard your carpet against stains. As you increase the quality of carpet, stain protection also typically increases, as does the manufacturers warranty coverage. With this in mind, it is important to understand exactly what is covered by the warranty of your specific carpet as warranties do vary. One of the most important considerations in choosing the right carpet for your home has to do with where you can’t see – beneath the surface of the carpet. Carpet cushion, the layer of material that lies between the carpet and floor, can make the difference between a good feeling carpet and a great one. It’s the combination of quality carpet cushion, and the carpet itself that determines how a carpet feels beneath your feet. However, carpet cushion isn’t just about feel. A quality carpet cushion helps preserve the look of the carpet, and can even extend the life and comfort of a carpet, providing it with tougher protection against wear and tear. Remember that carpet is designed to be walked on. Cushion density equals carpet performance. Also, understand that carpet cushion is sold using quality specifications, not color specifications. The color of the sample you see in our showroom may not be the same color as the carpet cushion installed in your home. In addition to the total project cost, you should also know the cost of annual cleanings to maintain the beauty and life of your new carpet. We can help answer all your cleaning questions and be sure to consult the manufacturer’s warranty and care guide for directions on how frequently the carpet should be cleaned and the cost to clean it. There’s much to consider before buying carpet.